The Dell'Antico Warrior breeding is among the most popular European farms, with an established lineage through time. History and achievements over 30 years livestock that became part of the history of the Rottweiler. Francesco Zamperini, cinofilo to 360 degrees, one of the most appreciated porfessionisti europoei, Know him better through this website. The dog world through the insights, the successes of F. Zamperini and livestock Dell'Antico Warrior, week after week. 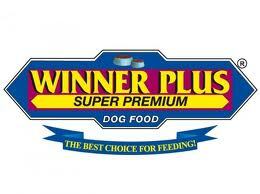 Our litters are all oriented to achieve maximum results in terms of health, character and typicality. FOLLOW US, BY JOINING OUR NEWSLETTER ..
Francesco Zamperini has always l 'sole owner livestock "Dell'Antico Warrior". The breeding site is Magliano Sabina. There are nor would any employees or members, nor other secondary offices or delegated. Those who give are only subject "Dell'Antico Warrior", born and raised at its headquarters located in Magliano Sabina. This protection of the various people who have contacted us because deceived by a third party. The portal DELLANTICOGUERRIERO.COM wants to know through my experiences and my breeding philosophy I live with the dog world and I select races that are more in my heart. 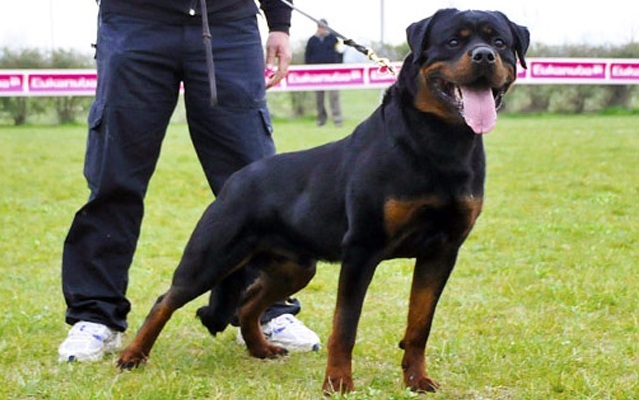 Relive the history of the Rottweiler through engagement, the challenges, the philosophy that led to the successful breeding of Rottweilers Italian best known in the world. 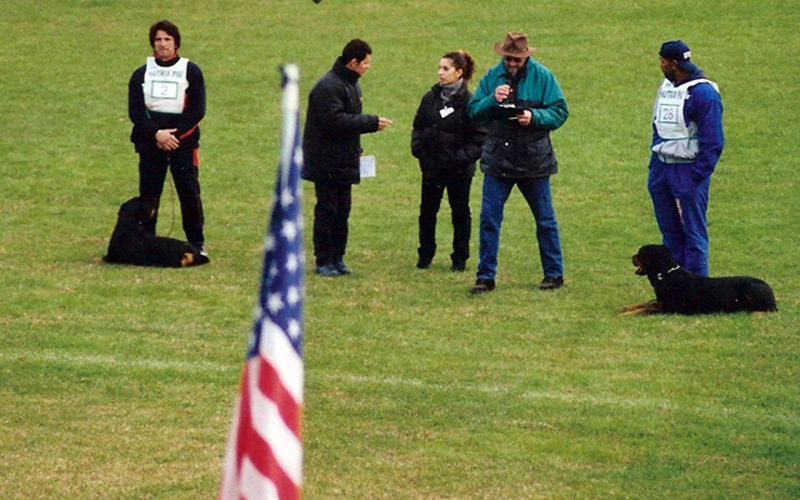 Meet the Rottweiler through our eyes and our experience, starting from the individuals who have shaped the history of our breeding and beyond, up to the new standards today. 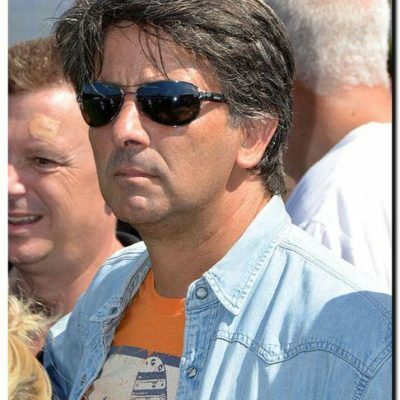 Francesco Zamperini was born dog lovers young and already stands out in major field trials and international expo. Today is known world-renowned professional. Advice on how to educate and communicate better with your dog, through our philosophy and experience that can help you find the right educational approach. Do you want a dog? You're sure to be able to figure out the right one for you? Our experience is at your disposal for your right choice. it Bulldog, a little friend with a big heart. 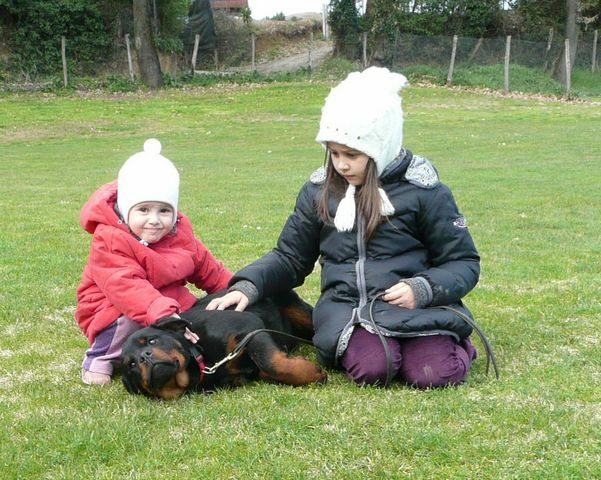 There are venturing to breed them in mutual agreement with our Rottweiler who find it a very nice playmate. The comunication, mutual cooperation help the binomial growth and preparation to face the best is the life of every day that the sport dog and competitive. 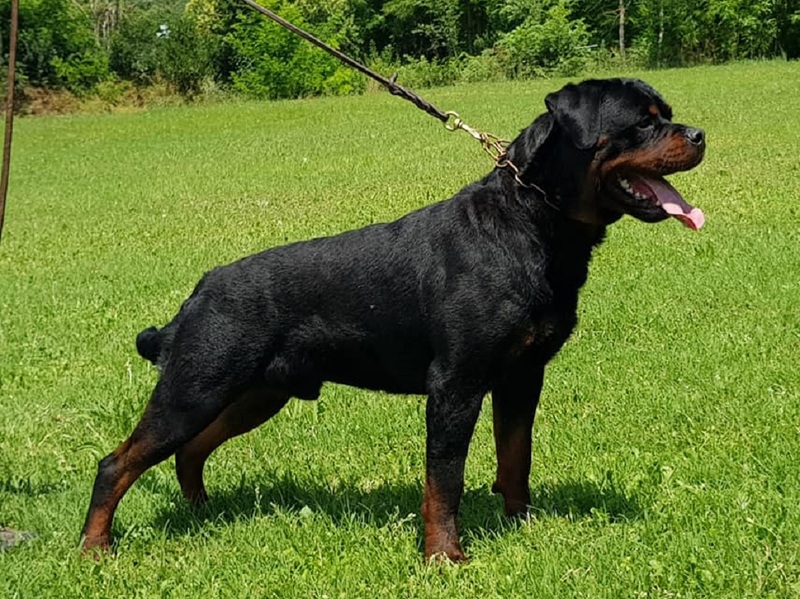 The Rottweiler Dell'Antico Warrior are also selected and especially to enhance their qualities of character such as: docility, Balance, quenching and nerves. This allows it to be completely versatile both in competitive activities than as faithful companions in life and game. Preparations subjects, conducted by Francesco Zamperini, who have distinguished in working tests. Results, demonstrations, advice, technical, seminars, etc. Contact us for technical advice to help you to always do the best dog-loving choice for you or your family. The experience of Francesco Zamperini at our disposal for choosing the most appropriate to your needs dog. The Rottweiler is a passion irefrenabile. If you want, you can live better through our experiences. Atraverso will follow our news, events and insights. Share with us the successes, the news, emotions, litters, projects and initiatives of our breeding. Follow and meet best Francesco Zamperini through his teachings, his advice, internships, her appointments and activities carried out in appropriate training. Francesco, one of the most sought after dog experts and appreciated, It is at your disposal and always ready to share his experience to help. You can find the most important events of national and international dog lovers, as an active part or spectator. Always ready to meet you and share with you his experience. 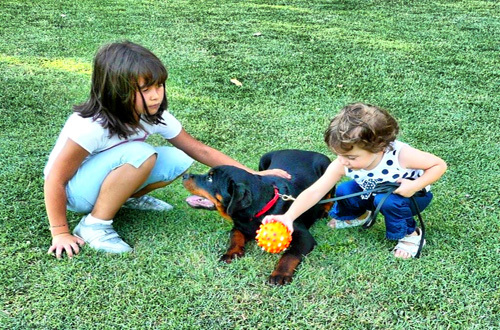 Why can help you learn and understand more about the dog, both in the life of every day that in sporting activities. From 2018, every month, exclusively on our Portal, and directly in your email box for subscribers to our newsletter, an article written and / or selected by Frqancesco Zamperini. A deepening dog lover do not miss, a must for lovers of the world to four paws. This, one of the many innovations of the new portal anticoguerriero.com. Dogs that are born today will be the champions of the future. Stay tuned to find out what the next. Our bloodline, for decades, continuously, confirms and guarantees the success and the results we have searched. Our litters always have all the same goal: select health, character and typicality. It 'really a pleasure for us, as well as a moral duty, to give support and tips for choosing and living together, or your new life partner. If you are not a puppy intererresati, but you would like a young person or adult, in our sale section you can find some of our specimens available, or contact us and we will be happy to help you to find the dog that's right for you. Over the years there are so many people who have chosen subjects Dell'Antico Warrior. Been too, and see why they are entrusted breeding of the ancient warrior and Francesco Zamperini. Over the years, many people who knew Francis Zameprini and who have had the pleasure of living with subjects Dell'Antico Warrior. Want to learn more about our group? Click below for some farming friends Dell'Antico Warrior present in the major social networks. If you are instead the owner of a dog with posted Dell'Antico Warrior, join our group, compiling this form. YOU OWN A SUBJECT OF THE ANCIENT WARRIOR? It will be our pleasure to have you as a guest to share you our philosophy of breeding and show our dogs, hoping to help you for your choice. The Dell'Antico Warrior is breeding trove in a green frame in Sabina, a few kilometers from Umbria and asolo 30 minutes from Rome. In addition to the modules of this site, you can contact Francesco Zamperini also through the major social networks (Facebook e Twitter), web platforms dedicated to cinofilia (workingdog), via email, using the main chat (Whatsapp, Messanger, Telegram), via sms.